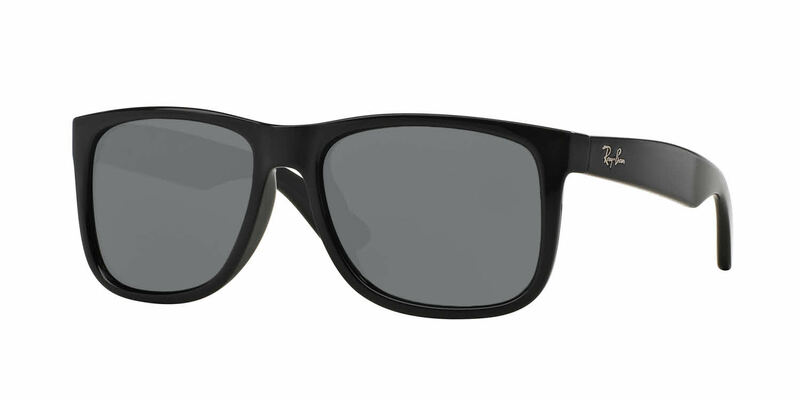 Ray-Ban RB4165 Justin Sunglasses were designed to be a slightly larger version of the iconic Wayfarer shape. Designed for men, but could work for a woman after an over sized look. Hypoallergenic propionate nylon frame for lightweight durability. Made to be strong, flexible. and resistant to warm weather. Having Ray-Ban glasses in the past, my Frames Direct experience met and exceeded my expectations with quality of product. As ususal Frames Direct gets it right. Got my prescription perfect, the lenses are wonderful and the price is right. I'll be back! I recently purchased the Ray Ban Justin with the brown, anti-glare, polarized lenses and overall, I love them. The only issue I have is the polarized lenses are kind of strange as when I look at my phone, things look almost 3D-ish. Overall, would recommend the frame. Excellent service start to finish. Excellent glasses. Very pleased!